Given it’s the largest organism in the world and among the most popular tourist destinations in Australia, it is little wonder that the Great Barrier Reef is also the premier diving location in the country. The greatest concentration of dive sites on the reef is to the north of Queensland, particularly in and around Cairns, the Whitsunday Islands and Port Douglas. Given the huge expanse of the Great Barrier Reef, various options exist for scuba diving in Australia. For many, the most popular tours are those that go farther out into the ocean to visit wreck sites such as the SS Yongala, which lies in open water south of the reef. Like many dives on the Great Barrier Reef, it is possible to see a host of marine life here including turtles, rays, sea snakes and groupers. 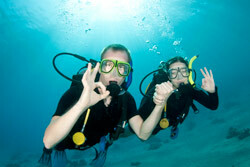 Shorter dives are also possible from any of the region’s islands or from the inner sections of the reef. 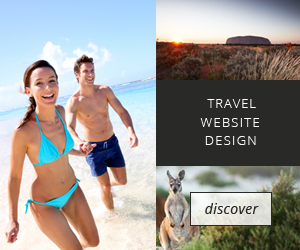 And for those that want to be out on the ocean for an extended period, it is also possible to take a scuba diving in Australia tour on a live-on boat over a series of days. Other options for scuba diving in Australia include the Sunshine Coast off Mooloolaba and Noosa, where the HMAS Brisbane has been turned into a manmade reef. On the other side of Australia, the Ningaloo Reef is an untouched underwater paradise that sees far fewer visitors than its larger cousin. Those looking for something a bit more edgy can go cage diving and get up close and personal with great white sharks in South Australia.